Welcome IOTA chasers to one of the most exciting IOTA DXpeditions of 2017. 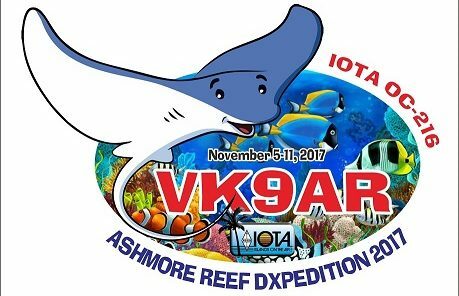 Mike AB5EB, Mike AD5A & Craig VK5CE will be activating Ashmore Reef OC-216 as VK9AR. Claimed by only 1.9% of chasers it is now 5th on the IOTA most wanted list! On the way back on November 11 around 2000 UTC, we will have a quick 4 hour activation of Browse Island OC-234 which is claimed by 10.2% of chasers. With the VK9AR operation, we’re adding another short IOTA visit, please click here to find out more.